On this particular day, a circling bald eagle kept the Ross's and Snow Geese on high alert which prompted many fly offs. This photo was made at a moment when geese decided to take off. 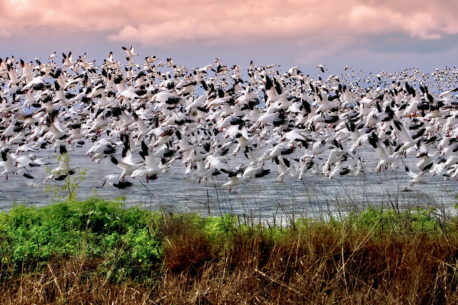 It's an amazing sight to see thousands of geese take flight.